When you travel a lot, as I have over the course of the past couple of years, comfortable travel clothes become a whole new category of your wardrobe. Truth be told, in life, I put style above comfort, but when it comes to flights and road trips, I've learned that you can and should have both. That said, building my collection of travel clothes hasn't been without a bit of trial and error (never wear high-waisted, 100%-cotton jeans on a flight), but it's those mistakes that have helped me plan my travel outfits more efficiently. The fewer options, the better, in my opinion. Prepping for a trip of your own? 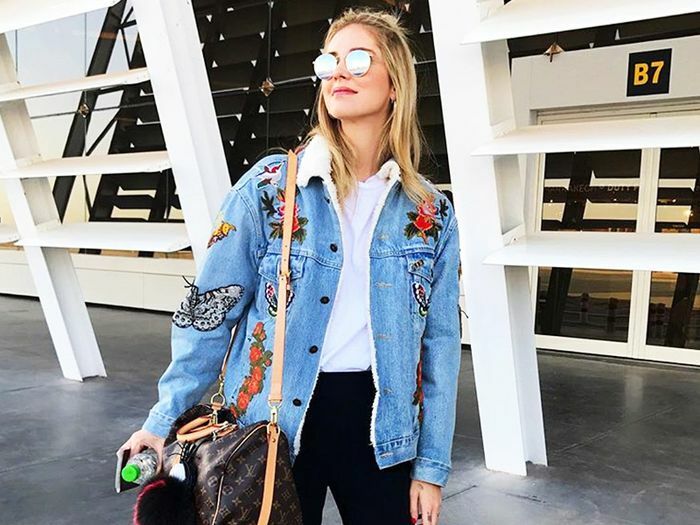 Keep scrolling to find out which comfortable travel clothes (and accessories) I wear for every trip, and shop some of my favorites. When going through security, the last thing you want to do is have to untie or unbuckle your shoes to get them off. 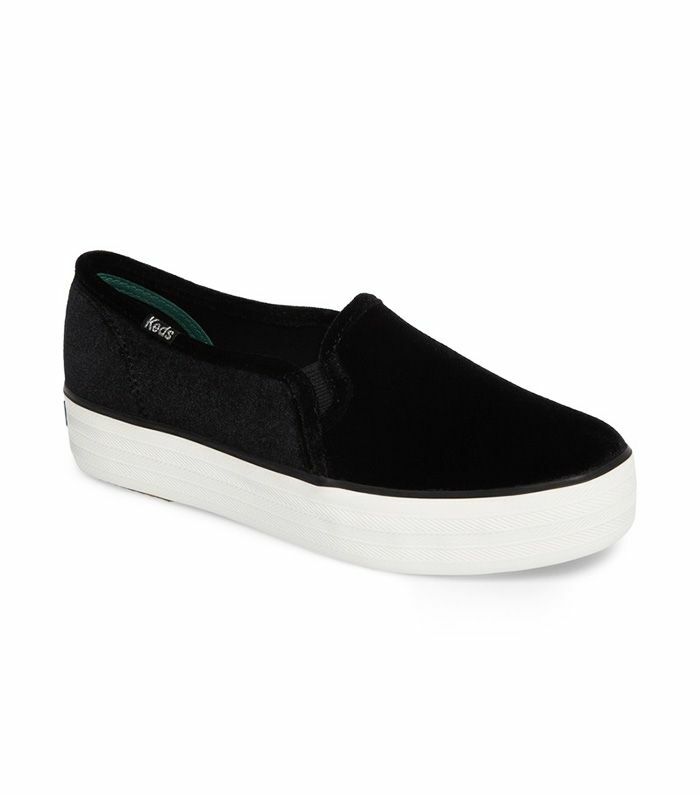 Do yourself a favor and wear flat slip-ons. As you know, the temperature in planes can fluctuate by the minute. You'd be wise to bring a scarf, which can easily be removed as temperatures rise in the cabin. Pants made of fabric with some stretch in them are paramount when traveling. Instead of sweatpants, opt for stretchy jeans or trouser leggings. This time of year especially, a sweater is the obvious, most effortless way to stay warm and comfortable. If your head is cold, everything else will be, too. Cover it with something soft and stylish, like a cashmere baseball cap or beanie. When you're schlepping through terminals, you'll want your hands to be free. Invest in a crossbody carry-on tote to help with that. Speaking of fluctuating temperatures, layering is essential on travel days. I'm always sure to wear a soft Re/Done tee because of that. Taking your shoes off and staying awhile is the name of the game on long flights. Toss a pair of cozy socks in your carry-on and make that happen. When going through security, it's always best to keep your jewelry simple and lightweight. I usually go for stud or huggie earrings with a pendant necklace, a watch, and just one or two delicate rings. Next up, check out 11 fall outfits that work no matter where you're traveling.